When choosing a transport solution, always start with the load carrier. Traditional square bars in steel with black plastic coating. 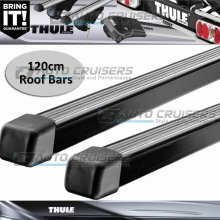 A complete roof bar system requires the specialised foot pack, the vehicle specific fitting kits and the load carrier bars.